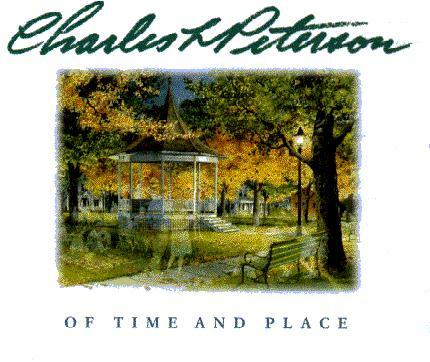 Charles L. Peterson's book "Of Time and Place"
the limited edition print industry in it's annual gallery survey. Plenty of detail to keep them there. The two versions are identical in terms of page size (9.5" x 12") and number of pages (96). offering a close-up view of the artist by respected author and personal friend, Norbert Blei. U.S. Gallery Edition with signed and numbered miniature print "Wood Sorrell and Mud Bay"
"The Memories Collection" . .
We are an authorized White Door Dealer. We can also do a secondary market search for you.